Recently move into a space that has a pre- existing propane fireplace? If so, congratulations! Here are 6 tips on how to make sure you get the best usage out of it. 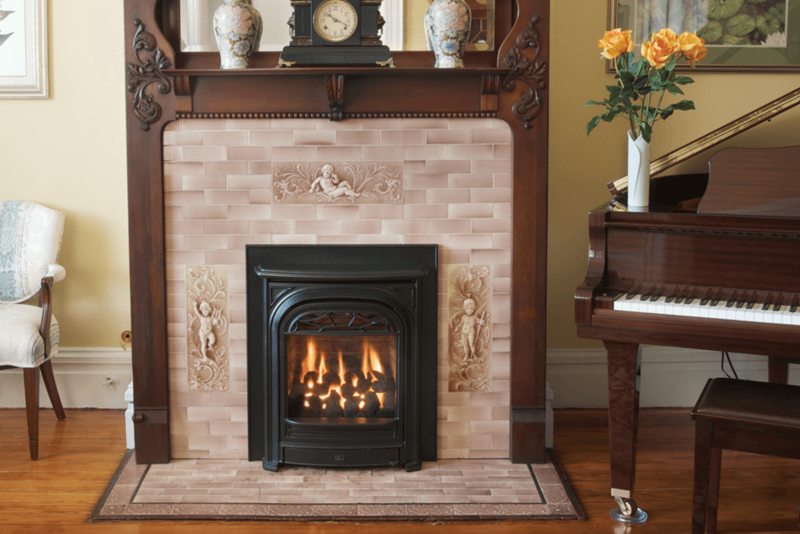 To get any support with your fireplace, you’ll need to know brand name and model number first. The previous owner or landlord should have left an owners’ manual behind. Besides brand name and model number, the manual will explain how the fireplace was installed, as well as basic troubleshooting and operation. If you don’t know the brand name or model number: There’s going to be a heat-resistant sheet with this information, located under or behind the fireplace itself. It’s placed in a spot that’s meant to be accessible, depending on the kind of unit you have. That sheet has all of the identifying information you need. You may have to remove a fireplace’s front trim to locate it. If you know the fireplace’s brand name and model number: You should be able to get that manual on the manufacturer’s website, under a resource section. If you only know the fireplace’s brand name: If you only know the brand name and the fireplace seems relatively new, you may be able to find the exact model under their products page. Can’t find your fireplace on their site? Check with a local company that carries the line; they may be able to identify it by looking at a photo of it. If no local company currently carries the line, send a photo to a customer service e-mail on the manufacturer’s website. Still Can’t Find the Info? : Try to locate someone who has been in a specialty fireplace- related company or contact a propane provider. A more tenured employee may be able to identify the brand name or model number, just by looking at a picture of it! 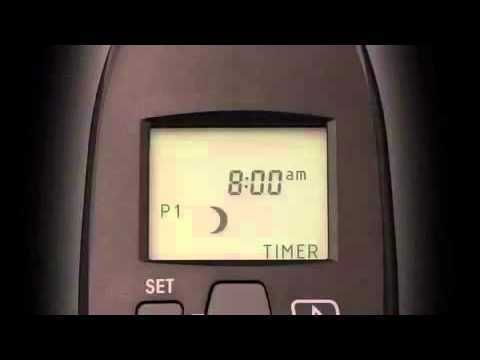 Change batteries right away and start fresh! Check your manual to make sure you’ve changed them all out at the same time and didn’t miss any; Remote, receiver, potential battery back-up options, and so-on. Besides batteries in the remote, there are often others somewhere in your unit. It is important to change all batteries at once. If you replace some batteries and not all, there will be some communication issues between the fireplace components, due to inconsistent power supply between connection points. Do not use cheaper/dollar store-brand batteries. They’re fine for smaller appliances but your fireplace requires a more powerful battery than that, especially if it’s a thermostatic remote. Go onto the fireplace manufacturer’s website and they will have a section where you can locate a local dealer. You may have already discovered this information while searching for an owner’s manual! If nothing shows up for Newfoundland, call the manufacturer’s toll- free number. Even if no local business carries the line, there may be a business that has access to bringing the particular product or part in. The manufacturer or a tenured industry professional will know. If nobody supplies the parts anymore, the manufacturer may ship parts directly to you. Scheduling a service and cleaning appointment every year or two is best practice. Note that often times, warranties are often strictly parts- oriented and only apply to the original fireplace owner so check the warranty information in your manual or with the manufacturer. Your fireplace may be fine but if there’s a fraying wire or something wearing out that hasn’t noticeably affected the fireplace’s performance yet, paying for a service call and discovering that while it’s still under warranty could save you more money in the long run, or may be caught&fixed before the problem causes the breakdown of another component. A professional technician will spend about an hour in your home. They will take apart the fireplace, inspect all components to make sure it’s all in optimal condition, they’ll properly rid of any dust without damaging the inside, inspect other components of the fireplace and will also clean the glass, before putting it back together. At Atlantic Fireplaces in particular, if you book a service appointment and we discover you need a new part, we will take it upon ourselves to get that item in for the best cost possible (if it isn’t under warranty). We ask a series of qualifying questions when you book your appointment so we already have a good idea as to what needs to be done, before even entering the home. We bring parts with us and most times, have the fireplace up and running before leaving the home. If you’re not utilizing the features your fireplace gives you, then you may not be burning propane in the most efficient or effective way. For example, when I first got my Valor Portrait Ledge installed, I would simply turn it on, then turn it off when I was warm enough. However, when I started using the features, I wasn’t relying on my base boards as much and I ended up saving a ton of my money on my over home heating bills. Using my fireplace as an example, Valor have a timer option; you can set two different timers in the day and two different timers in the night. I wake up at 5am so I set a timer for 4:30 and when I go downstairs, I don’t have to start my day in a freezing cold house. I can get out of bed and still be just as cozy! Same for when I get home from work. Another thing I do is utilize the thermostatic mode; there’s an actual thermostat in Valor’s remote! If I’m having company over and want to turn on the fireplace for ambiance, I take the Valor remote, turn it to thermostatic mode and simply type in the room temperature I want. The Valor will then adjust its’ heat output on its own, keeping a consistent room temperature as people enter and leave my home. Owners manuals have instructions on how to use the remote but if you’re like me and have a Valor, they have a cool series of Youtube videos that visually walks you through the processes. Still Feeling Wary About Something? 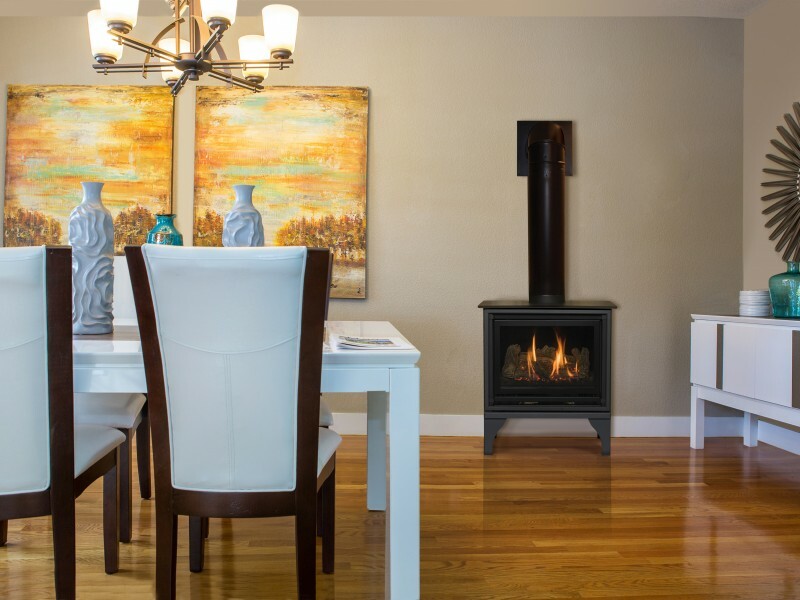 If you’re still feeling wary or want to make sure you fully understand the unit, go to the local fireplace store which carries the line and a product consultant will be more than happy to take a few minutes to show you how your fireplace operates.